Connecticut historical sites can be intriguing, shocking, enlightening, and compelling. This state played a significant role in the development of our country as a whole; being so close to the water, Connecticut was especially key in the advancement of maritime industry in the United States. Due to its rich historical background, this area now contains countless Connecticut museums and historical places to visit, which all serve as popular tourist attractions in Connecticut. If art and history are your passion, explore these four Connecticut historical sites; you’ll feel as though you’ve taken a journey back in time! Looking for more great things to do while you’re in Connecticut? Download our free Vacation Guide! At Stonecroft Country Inn, we want you to experience all the best Connecticut has to offer. So, download it today! Captain Nathaniel B. Palmer, a native of Stonington, CT, is one of the very few seafarers in the world who can be credited with discovering the continent of Antarctica. This prestigious figure from the 1800s was also an esteemed seal trader and captain of the Hero. He and his brother built their own Victorian-style mansion in 1852, which still stands tall and beautiful to this day. Take a tour of the Captain Palmer House to see some of the captain’s artifacts and discoveries from his journey to Antarctica; it is adjacent to the Woolworth Library and Research Center that you can tour as well. Right next to the Captain Palmer House is a 170-year-old lighthouse and residence that towers above the Stonington harbor. Retired long ago, the once-beaming beacon was transformed into the Old Lighthouse Museum to honor its many years of valuable service. Admire its intricate stonework, then wind up the circular staircase to the top of this landmark, where you can view three different states! Don’t miss exploring this unique monument to get a deeper insight into Connecticut history. 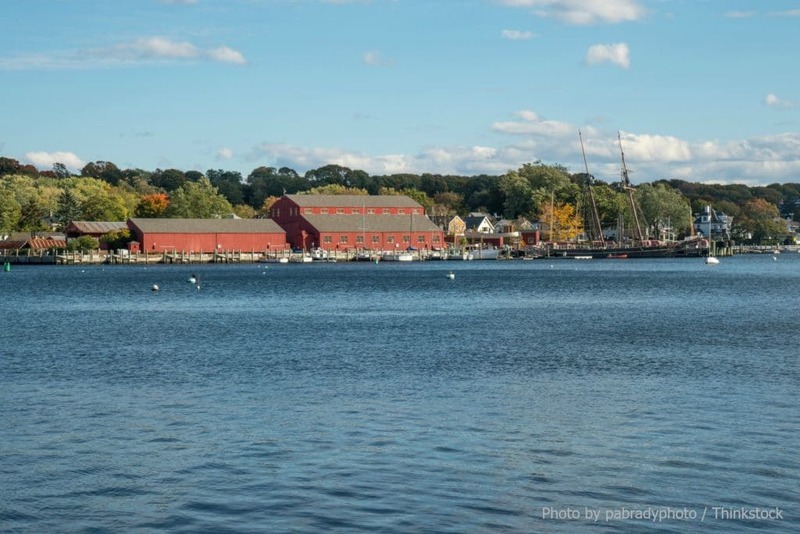 One of the most famous tourist attractions in Connecticut is the Mystic Seaport, America’s leading maritime museum. This is so much more than a Connecticut museum; not only can you view original maritime artifacts that are hundreds of years old, but you can tour their gardens, explore the planetarium, admire countless exhibits, watch performances and re-enactments, and even get out on the water! Although there are many Connecticut museums, once that stands apart from the rest, due to its amazing qualities and characteristics, is the Slater Memorial Museum. For over 100 years, this institution, located on the campus of the Norwich Free Academy, has been home to many ancient artifacts and artworks from Asia, Europe, Africa, and the Americas; it was originally established with the mission of providing the students with the opportunity to educate themselves on other cultures and societies right within their school. This expansive art gallery and museum represents an important element of Connecticut history. Now that you know about the many Connecticut historical places to visit, you need to plan a trip to the Mystic, CT, area! Treat yourself to the best possible lodging by booking a luxurious room with us at the Stonecroft Country Inn Bed and Breakfast. We have the finest amenities in our charming inn, including a hot, homemade breakfast first thing in the morning. Don’t hesitate- check our availability today!